The “Ed News” will be taking a brief break to enjoy the coming holiday. Look for the next edition on Friday, Dec. 5. Has the so-called education “reform” movement really come to this? Let this article from The Michigan Citizen explain what the courts in that state just ruled. “In a blow to schoolchildren statewide, the Michigan Court of Appeals ruled on Nov. 7 the State of Michigan has no legal obligation to provide a quality public education to students in the struggling Highland Park School District. A 2-1 decision reversed an earlier circuit court ruling that there is a ‘broad compelling state interest in the provision of an education to all children.’ The appellate court said the state has no constitutional requirement to ensure schoolchildren actually learn fundamental skills such as reading — but rather is obligated only to establish and finance a public education system, regardless of quality.” The piece goes into much more detail about what it all means. Diane Ravitch called it “a shocking decision.” Say it ain’t so! Bloomberg EDU hosted a radio debate between two principals about the Common Core. Carol Burris from South Side High in New York and Jayne Ellsperman from West Port High in Florida engaged in a spirited discussion of their opposing views of the standards on a podcast (29:45 minutes). A New York editor and film-maker has created a short video (3:33 minutes) called “Refuse the Tests.” It a series of parents describing the impact of standardized testing on their children and why they have chosen to “opt-out.” You can view it on YouTube by clicking here. Both Anthony Cody and Diane Ravitch promoted the film on their blogs. Many of the so-called education “reformers” want the schools to adopt practices from the business community. Unfortunately, most of what they suggest may not be appropriate for fixing what ails the schools. Andrea Gabor, the Bloomberg Professor of Business Journalism at Baruch College, writing on her own Andrea Gabor blog, maintains there are some things the schools can learn from business but they are not the ones being pushed by the current “reformers.” She suggests the ideas of management guru W. Edwards Deming may hold clues to some truly meaningful changes. “Simply put, Deming would be appalled by much of what passes for education reform today. In this blog post,” she explains, “I will describe how the lessons Deming taught American industry might apply to education. His ideas are already being applied by a handful of schools and districts that are explicitly adopting his management ideas.” Gabor proceeds to describe a number of specific practices Deming brought, not only to businesses in the U.S. and Japan, but also how his ideas helped transform schools in the latter country. She even includes a very brief reference to the iPads-for-all fiasco in the LAUSD in the course of her piece. December 14th will mark the second anniversary of the tragic shooting at Sandy Hook Elementary School in Newtown, Connecticut that took the lives of 20 young students and 6 teachers and staff. The latest incident took place on Thursday at Florida State University in Tallahassee when 3 people were wounded by a gunman who was shot and killed by police. Any idea how many shootings have taken place on campuses since Sandy Hook? 15? 27? 46? 59? Not even close. Everytown for Gun Safety has a shocking list of 91, (91!) school shootings since Sandy Hook. It includes a very brief introduction. The picture heading the piece is worth a thousand (a million?) words. In light of the massive $139 million settlement the LAUSD announced on Friday with the remaining plaintiffs in the Miramonte Elementary School sexual abuse case, Sunday’s L.A. Times had an analysis of the outcome, what the district has learned and how it may alter some of its policies regarding the issue in hopes of avoiding similar cases in the future. “The settlement has Cortines — the current superintendent — and others concerned,” the article notes, “that other earlier reforms didn’t work and considering what needs to be done for the district to better protect students from sexual misconduct by adults.” An editorial in today’s Times urges the LAUSD to implement new polices to make sure there are no more “Miramontes.” The same paper published 3 letters reacting to the latest Miramonte settlement. One pointed out that local and state taxpayers will ultimately foot the bill for the total amount paid out ($169 million). The Badass Teachers Association (BATS) issued a statement that said “WE HAVE CONSCIENTIOUS OBJECTIONS TO TESTING THAT HURTS, PUNISHES, AND BLAMES CHILDREN!” It went on to explain why they were taking that position and the announcement was signed by a long list of members of the organization. Here’s a little different education story. The head basketball coach at Westlake High School (Conejo Valley USD) is suing a parent of a former player for libel. Yes, you read that right. The story appeared in yesterday’s L.A. Times. “In a 10-page civil complaint filed in Ventura County Superior Court,” it notes, “an attorney for Westlake High varsity boys basketball coach Robert Bloom is suing parent James Clark, alleging that he was unable to ‘accept the fact that his son wasn’t and isn’t a Division I Basketball star,’ and made libelous statements ‘with specific intent to … ruin” the coach’s life. '” You have to read the rest of the article to get all the “he said, he said” details. What have we come to? The New York State Board of Regents has approved a charter high school to open in Rochester in 2015. That’s pretty straight forward. What’s interesting is it’s to be run by a 22-year-old man with a newly minted doctorate in education. He’s never taught in or started a school before. The campus will begin with 100 ninth graders and will eventually total about 400 students in grades 9-12. The Rochester Democrat & Chronicle story explains whats going on. “One of the key tenets [of the new school] will be extensive use of online learning,” it notes. “Each class will have two certified teachers, or one teacher and one teacher’s assistant; at any given time, each of them will be working with a third of the students and the remaining third — in particular, the more advanced students — will be working on computers.” Would a public high school have a 22-year-old principal with no experience at the helm? What have we come to? The young man in question, Ted Morris, claimed to graduate from Rochester’s High School Without Walls. Diane Ravitch received an short email from the principal of that school, during the time Morris says he graduated, challenging that contention. Peter Greene was so astounded that Dr. Morris was approved to begin a charter that he wrote two, TWO separate items on his CURMUDGUCATION blog. You can read the first one titled “Rochester Charter Proposal: More Than Meets the 22-Yr-Old Eye” and the second one titled “More on Rochester Charter Wunderkind (Or: How Hard Is It To Do Your Job, Anyway?”) here which contains some links to other sources (even Mercedes Schneider published two separate blogs trying to keep up with all the “facts”) that commented on the story including an update of the original item from the Democrat & Chronicle. Valerie Strauss weighed in on the issue. She reviewed some of the items mentioned above and reports on an email exchange she had with Morris about some of his claims. They all make for some very interesting reading and demonstrate, rather clearly, that the New York State Board of Regents did not undertake much due diligence in checking out Morris’ resume. The influx into the U.S. over the past several years of a number of unaccompanied minors from countries in Central America has had a big impact on schools in this country. The “Ed News” had featured a number of stories about the issue. This piece, from The HECHINGER REPORT talks about some of those individual experiences through the eyes of the students who lived them. One of them is an 18-year-old young man who recently arrived from Guatemala and landed in a high school in Oakland. His is a tale, as the title explains, of “hope [and] past trauma.” “Whatever their reasons for coming,” the story relates, “the vast majority of the newly arrived children — both the ones the government caught on the way here and the unknown number who made it across without getting picked up by Border Patrol — are now attending the one American institution legally bound to serve them: public schools.” How big an impact do undocumented students have on the public schools of the United States? Valerie Strauss features some interesting statistics from a new PEW Research Center’s Hispanic Trends Project. It found that 6.9% of K-12 pupils had parents who were in the country illegally as of 2012. Nevada had the highest percentage (17.7) while California was second with 13.2% closely followed by Texas (13.1) and Arizona (11.0). Both North Dakota and West Virginia had the lowest rate at 0.1%. You can find the full report (54 pages) titled “Unauthorized Immigrant Totals Rise in 7 States, Fall in 14–Decline in Those From Mexico Fuels Most State Decreases” by clicking here. A new report from Public Advocates, a California nonprofit law firm, found that a number of charter schools in the state require parents to volunteer their time or pay a fee in order to maintain their child’s enrollment. The civil rights group claims that violates the state’s free education law. A statement from the California Charter Schools Association denied knowledge of any situation where a student was excluded from campus or a school activity because a parent failed to volunteer or pay a fee in lieu of volunteering. “The report,” according to an item in yesterday’s L.A. Times, “calls on the state Department of Education to clarify and give guidance on the law and to move to end the practice. If it does not, the [Public Advocates] group will consider litigation.” This item brings to mind one question: Can the public schools require parents to volunteer their time or pay a fee? Richard Lodish, 68, had a distinguished career in K-12 education but now he may be better known for the remarkable collection of 18th to early-20th century school memorabilia that he has collected over the years that is bursting the seams of his home in Bethesda, Maryland. His stash has attracted the attention of the Smithsonian’s National Museum of American History. That institution has been organizing some of this materials for an exhibit. You can read a little about Lodish and view pictures of some of his fascinating trove in a “photo blog” from EDUCATION WEEK. Umm, no. You’ve been sick before — does that make you a doctor? How many of you have heard some of these comments in the past? Can you come up with some additional, pithy responses? Why is one charter school chain in North Carolina refusing to divulge salaries of certain administrators despite a directive to do so from the state’s Board of Education? PRO PUBLICA details the standoff and in an update explains that the chain finally complied. The chain, Charter Day School, Inc., founded by entrepreneur Baker Mitchell, was highlighted in a previous edition of the “Ed News.” “On his blog and in earlier interviews with ProPublica,” the article indicates, “Baker Mitchell has maintained that private companies operating charter schools should not have to be transparent about their financials or publicly disclose what they pay their employees.” Can public schools get away with that? 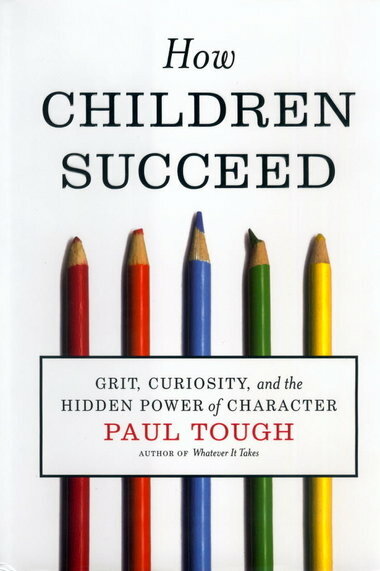 The ALOED book club had an excellent discussion last Tuesday of Peter Tough’s book How Children Succeed–Grit, Curiosity, and the Hidden Power of Character. As you can tell from the title he tried to demonstrate the importance of character and “grit” for students’ academic success. Not everyone was buying that theory. Peter Greene, the CURMUDGUCATION guy, reviews a recent report from the Brookings Institute that attempted to support Tough. Greene, to put it mildly was quite skeptical of the whole thing. “There are so many things wrong with this report– sooooooo many things– and I’m about stumped for wrapping it all up in a neat conclusion,” he mentions dismissively. “It is such a thin tissue of supposition, weak arguments, cultural biases, part-for-the-whole fallacies and poorly reasoned conclusions that I get rather lost in it myself. I can only hope that as of this post, I’m the only person who’s really paid this much attention to it.” If you want to ignore his advice and take a look at the full study(35 pages) for yourself, he includes a link. Remember all those individuals and groups who were pushing value-added models (VAMs) for evaluating teachers. The ardor seems to be cooling. As Audrey Amrein-Beardsley explains, on her VAMboozled blog, two big names in the VAM world resigned their positions recently. The first was the Tennessee Education Commissioner and the second was the executive director of the Tulane University’s Cowen Institute for Education Initiatives. I’ll let Amrein-Beardsley sort it all out for you. This is a very tragic story to have to pass on. You may be aware that the 43 students in the Mexican state of Guerrero who were kidnapped by local police in late September, turned over to drug gangs and apparently murdered, their bodies burned and the ashes dumped in a river were all in a teacher training program. An article in the latest edition (Nov. 24) of TIME magazine details the impact of this ghastly act on their families, the community, Mexico and, hopefully, the entire world. Have you heard of the group the “Collaborative for Student Success?” I didn’t think so. They’re a new “grassroots” organization that strongly supports the Common Core and are pushing the idea that since Republicans did so well in the recent mid-term elections that is an indications of strong support nationwide for the standards. Mercedes Schneider on her “EduBlog” at deutsch29 isn’t buying that line for a minute. She did her usual investigative homework and found that CFSS is funded by none other than the Gates Foundation. The LAUSD is apparently not the only big-city school system experiencing difficulties with its computerized student data system. The New York Daily News reports the city schools are dropping its $95 million Achievement Reporting and Innovation System (ARIS) due to it being “clunky and slow” since it was implemented in 2007. Questions were also raised when former NYC Schools Chancellor Joel Klein, who helped introduce ARIS, won a contract for his company to assist in maintaining the program. EDUCATION WEEK has an intriguing item about the setting of cut scores for the Smarter Balanced Assessment Consortium’s exams. SBAC is the group California has cast its lot with. The article mentions that the percentage of students who will likely test “proficient” is predetermined and will most likely be less than 50%! “In a move likely to cause political and academic stress in many states,” it predicts, “a consortium that is designing assessments for the Common Core State Standards released data Monday projecting that more than half of students will fall short of the marks that connote grade-level skills on its tests of English/language arts and mathematics.” Interesting. If one reads that right it appears that, upfront, more than half of the students taking the tests will land in the “not proficient” category. Does that sound fishy to you? Looks like built-in, predetermined failure. Then, according to the script, the so-called education “reformers” can blame the public schools and their teachers for doing such a “poor” job and that the only solution is to privatize or charterize the schools. Sounds VERY FISHY! This may prove to be a surprising statistic. Since the economic recession began in 2008, college and university graduation rates have declined even as the number of students enrolled has increased. The HECHINGER REPORT features a new report from the National Student Clearinghouse Research Center with the figures. A new report from UCLA demonstrates that students at high-poverty high schools get less instructional time than their more well-off peers. Factors that contribute to that included more teacher absenteeism, poorly trained substitutes, test preparation and campus lockdowns among others. The study appeared in an article in today’s L.A. Times which includes a link to the full report (27 pages) titled “It’s About Time–Learning Time and Educational Opportunity in California High Schools. And finally, Valerie Strauss published a great cartoon under the heading “Teachers: Do You Ever Get Home From School and Just . . . .?” Check it out, It will only take you 13 seconds. then we’re just putty in the hands of those in power. and the reasons for a Bill of Rights. With it comes a certain decency, humility and community spirit. Some of the so-called education “reformers” like to point out certain “miracles” that take place when schools are reconstituted or turned into charters. They use them as examples of how their ideas are superior to what comes out of the public schools. Unfortunately, when one digs deeper beneath the surface those “miracles” often disappear into thin air. Gary Rubenstein, on his own Gary Rubenstein’s Blog, delves into the supposed turnaround of Paul Robeson High School in New York City into P-Tech High and finds “all that glitters is not gold” as far as the claims are concerned. He particularly zeroes in on some comments made by former New York City School Chancellor Joel Klein in a new book. That outrageous TIME magazine cover story about the difficulty of getting rid of “Rotten Apples” from a couple of week ago, covered extensively by the “Ed New,” is BACK. Nancy F. Chewning, an assistant principal at a school in Roanoke, Virginia, posted a scathing response to it in the form of a letter to the magazine on her blog, Leading By Example, that went viral. In case you missed it when it first appeared (the “Ed News” did) you can read it by clicking here. “I am furious, incensed, and irate at your November 3, 2014, cover depicting every American public school educator as a Rotten Apple and a billionaire from Silicon Valley as the savior of American public schools,” she begins. “So forgive me, if this Rotten Apple, tells you exactly what I think of your reporting since you never bothered to interview a public school teacher for your piece.” Her indignation only grows from that start. Ever wonder how nutritious are school lunches? A new study from Virginia Tech University finds them to be lower in fat, sugar and iron than the ones kids bring from home. You can find the details about the report in a brief article from EDUCATION WEEK. Valerie Strauss, in her column for The Washington Post, takes an up-to-date look at the emerging issue of student debt by providing 6 charts that compare states and particular institutions with the highest and lowest student debt. You may be surprised where California ranks and which schools in the state make the highest and lowest tables. The LAUSD is in the cross hairs once again and this time it has nothing to do with iPads or computerized student information systems. Lawyers representing the district are being blasted for offering as a defense of a middle school teacher accused of lewd conduct that the 14-year-old victim was mature enough to offer consent to the sexual relationship that took place between her and her math teacher. In addition, the attorneys attempted to introduce her sexual history as justification for avoiding civil penalties in the case. Radio station KPCC provided the details as well as a related audio segment (5:41 minutes) about the story. In a late-breaking article posted on the L.A. Times’ website this afternoon, the district announced that it had fired the outside lawyer who had worked for LAUSD for 27 years for comments he made on the local radio station regarding the legal strategy. A previous edition of the “Ed News” highlighted an attempt by the Massachusetts Dept. of Elementary and Secondary Education (DESE) to remove licenses from teachers who receive unsatisfactory evaluations. Members of the Massachusetts Teachers Association (MTA) immediately fought back by contacting state education officials urging them to withdraw their proposal. A brief note on the MTA website announced victory after the DESE informed educators in the state that they were “rescinding the draft options that link licensure to educator evaluation.” You can read the official announcement (it’s short) from DESE about this issue by clicking here. The Christian Science MONITOR is starting a year-long series that will follow the trials and tribulations of a first-year principal as she attempts to turn around a struggling New Orleans charter elementary school. The first installment looks at what she hopes to accomplish. And finally, Valerie Strauss continues to follow New Hampshire high school senior Samantha Fogel as she navigates the rough waters of selecting a college to attend in the fall. This fourth installment looks at the difficult issue of what schools to apply to first in order to get involved in their early admission process. Strauss includes links and brief descriptions of the first 3 stories in the series. Many of the so-called education “reformers” have tried to portray the Common Core as a civil rights issue. The authors of this piece from truthout take the exact opposite position. They title their piece “Common Core Betrays the Civil Rights Movement” and in the course of it they excoriate the National Urban League, a prominent civil rights organization, for championing the standards. “We agree that education should empower young men and women, of whatever race or background,” they maintain, “to succeed in college and careers. Our contention, however, is that the Common Core’s promise does not correspond to its reality. More strongly, we contend that the Common Core betrays the civil rights legacy more than advances it.” The authors go on to demonstrate 3 ways the standards are already harming young African-Americans. State lawmakers in California are turning a critical eye towards out sized compensation packages that are being paid to school district superintendents around the Golden State. It’s not just the salary that has the legislators up in arms. Some of the contracts include interest-free home loans, car allowances and paid life insurance policies among other generous perks. A story in the San Francisco Chronicle has details about some of the more outlandish salary and benefit deals. The “charter school scandal of the day” follows a twisted case in Pennsylvania reported by the Philadelphia Inquirer website. The nonprofit that owns the charter’s campus is suing the Imhotep School for failure to pay rent, interest and fees. [Ed. note: I’m not making this stuff up!] “The court action comes after the school, which opened in 1998,” the article explains, “was rocked by months of turmoil, including the ouster in late June of M. Christine Wiggins, Imhotep’s founding chief executive. The Imhotep board voted not to renew Wiggins’ contract after the School District’s charter office said in April that it would recommend not renewing the school’s charter on several grounds, including poor academic performance.” You’ll just have to read the article for yourself and see if you can sort all this out. One question. How often do public schools end up in convoluted situations like this? Oh, oh! Here’s a dangerous heads up from Valerie Strauss in The Washington Post. She reports that Pearson is sponsoring EDUCATION WEEK’S analysis of how the midterm elections will affect schools. The magazine and the Gallup Organization are co-hosting an event tomorrow in which a series of speakers will offer insights into the post-election results and their impact on education. The entire tab is being picked up by Pearson. Strauss wonders, rightly, why the largest education company in the world is doing this and offers responses to her query from Ed Week, Gallup and Pearson. She includes a link to the event if you’d like more information. Jonathan Lovell, Professor of English at San Jose State University and Director of the San Jose Area Writing Project, had an interesting email exchange with none other than Pres. Obama over the results of the mid-term elections last week and how it all relates to education, schools and teaching. You can read their back-and-forth courtesy of Diane Ravitch’s column. What might happen if corporate bean counters took over education and the running of schools? Sound far fetched, you say. Impossible. Peter Greene, of CURMUDGUCATION fame, thinks it’s already happening and what he describes is rather terrifying. Please follow his piece to its conclusion and you, too, may be scared to death of the whole scenario. Tuesday is the Veterans Day holiday. EVENT REMINDER: Come one, come all to the next stimulating ALOED book club discussion. It takes place this Wednesday at 6:30 at Samuelson Alumni Center on the Oxy campus. Dinner will be provided by ALOED. Even if you haven’t read the book (see below) come for the great food and camaraderie. For more information and to RSVP please click here. The satiric website The ONION has a brief item about how a growing number of 3- and 4-year-olds are being urged to participate in “online preschools.” The piece reads like reality but please keep in mind it is SATIRE. If “a picture is worth a thousand words” you must view the one that heads this story. Donna Brazile, a Democratic Party operative, CNN contributor, columnist and professor at Georgetown University, wrote a piece on the CNN website attacking the TIME cover story about tenure. She titled her commentary simply “Don’t Abolish Teacher Tenure.” “The cover is a slap in the face,” she declares indignantly, “to every teacher who has dedicated his or her life to bettering the lives of children. Right now, we should be lifting up and championing educators. The last thing we should be doing is discouraging or dampening the enthusiasm of a new generation.” [ Ed. note: Hear! Hear!] She goes on to quote some numbers from a recent poll that were very pro public education and pro teacher. Wednesday’s L.A. Times included one letter reacting to the Steve Lopez column from Sunday’s paper, highlighted in Tuesday’s “Ed News,” about the middle school teacher who enjoyed his job but was so frustrated with all the extraneous issues that he might give it up. JACOBIN reports on a series of FBI raids over the summer at 19 campuses run by the Gulen charter network which is affiliated with the Concept Schools Charter system, one of the largest in the country. The 19 schools were in Texas, Arizona, California, Utah and Nevada. “In California, Magnolia Science Academies, a Gulen-affiliated chain, recently made headlines for allegedly misusing $3 million in public funds to cover the immigration costs of six non-employees,” the story points out. “The Los Angeles Unified School District ordered the closure of two Magnolia schools, citing financial mismanagement, but a July court order reversed the decision.” The article includes a litany of highly questionable practices at other campuses in the states singled out. Harvard University announced a major new fellowship program to help prepare seniors to enter the teaching profession. “Harvard already has an undergraduate teacher-preparation program,” the story in EDUCATION WEEK notes, “but it’s quite small, enrolling on the order of 25 students a year. Most of the teachers the university prepares are graduate students. But in recent years, the college has seen an increased interest among undergraduates in pursuing a teaching career, said James Ryan, the dean of the Harvard Graduate School of Education.” It goes on to explain that almost 20% of Harvard graduates apply for Teach for America positions and it proceeds to detail what the new program will entail as far as preparation goes. How long does the average big city school superintendent serve these days? If you answered a little over 3 years (3.18 to be precise), you’d be absolutely correct. A new survey from the Council of Great City Schools, featured in a story in EDUCATION WEEK,demonstrates that their tenure has even declined slightly from 2010. The piece includes a link to the full report (10 pages) titled “Urban School Superintendents: Characteristics, Tenure and Salary–Eighth Survey and Report.” And how does principal turnover impact students and staff? That question was the focus of an interesting piece, also in Ed Week, that highlighted another survey produced by the School Leaders Network. It found that 25% of principals left their campuses EACH year and ones from high-poverty schools left in much higher numbers than those from affluent ones. You can find this report (22 pages) titled “Churn: The High Cost of Principal Turnover” by clicking here. The article listed some recommendations for retaining school chiefs. You probably could have predicted this one! A story in today’s L.A. Times finds that a report produced by a consultant for the LAUSD says the district’s implementation of its new computerized student information system, MiSIS, “was problematic at just about every level.” The study was made public by the school board yesterday after initially deciding to keep it under wraps. The article lists a number of areas where the district made significant errors during the disastrous rollout. And finally, for you progressive rockers from the 70s and 80s, and everyone else, comes this parody of the Pink Floyd anthem “Another Brick in the Wall.” A group of students in Ohio formed an “Anti-Common Core Club” and produced a video (4:44 minutes) onYouTube titled “Another Brick in Ohio” which demands ‘No More Common Core” and “Pearson–leave those kids alone!” If you’d like to complete the experience, click here for the original Pink Floyd music video (5:34 minutes) “Another Brick in the Wall” with its “We don’t need no education–we don’t need no thought control . . . . Teacher, leave them kids alone!” message. The sausage-making image in the clip is pretty jarring. A new poll from the Gallup organization finds that most teachers surveyed favor the Common Core State Standards (76% positive) but find the assessments linked to them problematic. A scant 9% favored using student test scores to evaluate teachers. Those and other results can be found on the Gallup website. A second survey from the same source asked parents about their attitudes towards the standards and compared the findings to a similar one in April. Michelle Rhee, longtime darling of the so-called education “reformers,” is again showing her true colors. StudentsFirst, the group she founded after leaving the chancellorship of the Washington, D.C., public schools has been channeling large amounts of campaign cash to conservative Republican governors and state legislators who support her pro-charter, pro-choice, anti-public school agenda. A piece in SALON is titled “Michelle Rhee’s Favorite Wingnuts: A Look at the GOP Candidates the Education ‘Reformer” is Backing.” It focuses on her attempt to swing a number of races for the New York state Senate. A few so-called education “experts” have been making some pretty wild claims about the Common Core. Now the Center for American Progress is promising that the Standards will close the gender gap and open up more STEM opportunities for women and girls. “More engaging and challenging standards build a strong academic foundation for all students,” it predicts. “Girls—and in particular, girls of color—have a lot to gain from more-rigorous learning standards that better prepare them for college and career success. By raising the expectations for student learning, the Common Core State Standards allow girls the opportunity to seize STEM learning opportunities while in grade school; to pursue a diverse set of college majors; and to obtain jobs that command higher salaries. The Common Core State Standards can expand on the progress girls have made since Title IX and can have a long-lasting impact on women in society.” Peter Greene was a mite skeptical about all this on his CURMUDGUCATION blog. “The Common Core is great for the ladies, he opens. “At least that’s what we can learn from a new CAP (Center for American Progress) article that combines two now-classic Core-boosting rhetorical techniques– wacky leaps of logic, and taking credit for what was already happening.” He doesn’t have any problem with the data that CAP presents regarding the gender gap but wonders how the standards are going to successfully close it. Diane Ravitch comments on “the worst constitutional amendment to appear on any state ballot in 2014.” The good news is it’s not in California; the bad news, it proposes to add some pretty wacky things to the Missouri constitution like using value-added models to teacher evaluations, disallowing collective bargaining over those evaluations, elimination of seniority and tenure and basing teacher retention, promotion and salaries on student test scores. Halloween may be over but those are scary ideas by themselves and to attempt to enshrine them in the state constitution is downright terrifying! Ravitch identifies the group behind the resolution and provides some information about the individual funding it. Two letters published in Saturday’s L.A. Times commented on the paper’s extended Tuesday editorial on what needs to be done to “fix” the LAUSD now that Supt. Deasy is gone. One of the letters was written by former UTLA President John Perez. Saturday’s L.A. Times has some additional details about the resignation on Friday of the LAUSD’s Chief Information Officer Ron Chandler. The story was highlighted in the previous edition of the “Ed News” after it was first reported by the LA SCHOOL REPORT. Problems with the iPad-for-all program and the trouble-plagued new computerized student information system, MiSIS, led to Chandler’s decision to leave his post. Steve Lopez, in his column in Sunday’s L.A. Times, writes about a dedicated and talented LAUSD math and science teacher at John Burroughs Middle School in Hancock Park who came late to the profession after stints in other fields. Charlie Unkeless tells Lopez that “teaching is the most rewarding and important job I have ever had.” However, he’s so frustrated by salary cuts, increases in class size and lack of materials and supplies that he may just “walk away” from it all. His story is both heartwarming and maddening and Lopez tells it very well. Ravitch’s blog. Speaking of gobs of outside money impacting political races. The Network for Public Education (NPE) has put out an alert outlining some of the school board races in places like Denver, Austin and Minneapolis among others where outside money is having a major impact. The article even zeroes in on a battle in Richmond, CA, where a pro-charter PAC has contributed a big chunk of dough. In addition, NPE endorsed Tom Torlakson in his race against fellow Democrat, Marshall Tuck. EdSource takes a look at the California school chief’s race and what’s at stake in the contest. “Spending in the race for California superintendent of public instruction,” it notes, “has by far outstripped all other statewide races, including the campaign for governor. Although the superintendent has limited power, donors to incumbent Tom Torlakson and challenger Marshall Tuck are spending big sums to influence what they consider is at stake in this election: the direction of education reform.” Valerie Strauss weighed in on the Torlakson/Tuck contest and was also appalled by the amount of money (almost $30 million and counting) that was spent by both sides. She wonders what might have happened had that sum been directed to boosting the education budget in the state instead. She also notes that the battle is between two Democrats and only demonstrates how divided the party is when it comes to education policy, at least in California. EDUCATION WEEK has the latest news on how schools and districts around the country are coping with Ebola. The author of the piece is not an educator but is, in fact, a doctor of internal medicine. He offers a primer on the disease and discusses specific things individuals and schools can do to prevent a possible spread of Ebola and deals head-on with some of the fears and misinformation that’s out there about the contagion. The U.S. Dept. of Education will shortly be releasing new guidelines for teacher preparation programs at the nations’ colleges and universities. This is a second attempt after the first one, announced in 2012, was met with almost total condemnation. Valerie Strauss turns her blog over to Donald E. Heller, Dean of the College of Education at Michigan State University who offers some suggestions on what the new DoE regulations should contain. If you’d like some idea of what it’s like to teach in other countries check out this documentary (41:00 minutes) produced by Education International on YouTube. It’s titled “Teachers: A Day in A Life” and presents educators from India, Belgium, Togo, Canada and Argentina representing 5 continents who share some of their experiences and their vision of a quality education.